Air freshener dispensers automatically spray various types of flavored fragrances at certain time intervals to keep the environment odor free. These are very effective solution against bacteria. 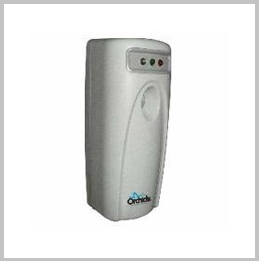 Hypuz offers wide range of air freshener dispensers at affordable price across India. 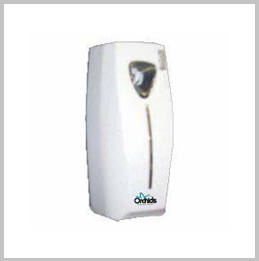 We at Hypuz always ensure to offer best quality and technologically advanced air freshener dispensers to our clients. 250 & 300ml air freshener refills can fit into the dispenser. 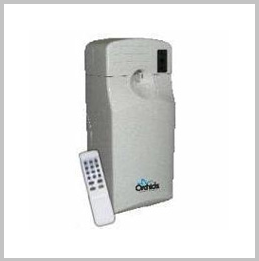 We are among well known air freshener dispenser manufacturer in Mumbai. 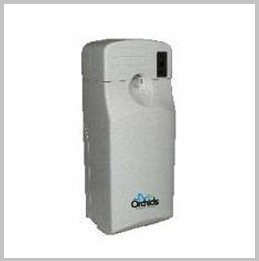 Browse through the varieties of automatic air freshener dispensers which are available in wholesale prices. Instantaneous and Effective Air Purge. Works with infrared ray coding technology. latest design for all kinds of public or commercial use. Time-interval of spraying. 5-30 Minutes. PP Material can be recycled. Two "D" Batteries lasts for 5 months. Work with infrared ray coding technology. Can Fit 110 ml can only. Power switch display with LED. Garden Flower Air Fragrance with 300ml refill. Odour Neutaliser with Aromatherapy Air Freshener.